Jakarta Provincial Government and Bekasi City Government have signed a cooperation agreement by adding new clause regarding an increase on Community Development fund to support education for Bantar Gebang residents.
" We hope, children in Bantar Gebang can get better education quality"
All this time, community development fund is only used for improvement in health service, environmental recovery, and direct cash assistance. But, through this additional clause, Bekasi Government now can also use community development fund to improve education service for children in Bantar Gebang. 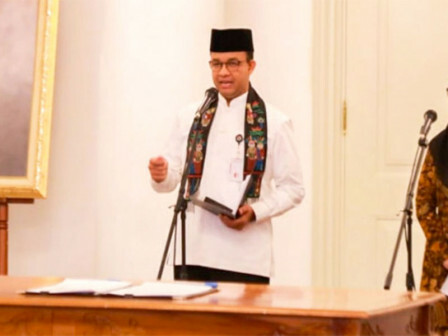 After Jakarta Governor, Anies Baswedan and Bekasi Mayor, Rahmat Effendi have assigned this cooperation agreement, Jakarta Government hopes educational facilities and infrastructures quality for children in Bantar Gebang can be better. Thus it can help locals to be more prosperous. Jakarta Secretary's Governance Bureau Head, Premi Lasari stated, Jakarta Governor, Anies Baswedan is the initiator who suggest for a new clause in cooperation agreement regarding education service improvement for children in Bantar Gebang. "Bekasi Government can use community development fund to build educational facilities and infrastructures in Bantar Gebang Sub-district. We hope, children in Bantar Gebang can get better education quality," she explained, Saturday (10/27). According to her, number of children who get education assistance from Jakarta Government will be given according to Bekasi Government's proposal. Later on , educational fund will be calculated in Jakarta Government budget allocation. "Its management will be adjusted to Bekasi Government authority that relates to education," she added. For information, this technical meeting has been done on Thursday (10/25) by Regional Organizations (OPD)s from Jakarta and Bekasi to follow up previous meeting between Jakarta Governor and Bekasi Mayor to strengthen their partnership.